Note: The TTB4045-100 has been replaced by the TGB4045-100. For information on the new model please click here. The TTB4045 is the classic Numatic TwinTec 24V battery model. 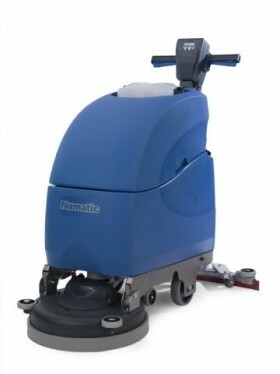 The premium specification starts with a full stainless steel chassis, Structofoam tilting brush deck, polyform tanks, fully sealed gel batteries, built in battery charger, heavy duty TwinFlo wet pick up vacuum system and heavy duty geared brush drive.